Viollet-le-Duc was head of restoration of the abbey in Saint Denis, November, 14th 1846. His first preoccupation was to dismantle the North Tower and after that of the spire rebuilt by François Debret before his resignation. When he finished this task, he undertook restoration of the interior of the building. Prosper Mérimée, the then General Inspector of historical monuments got him started by entrusting him with the renovation of Vézelay. This was the beginning of an atypical career. Although having constructed little; Viollet-le-Duc dominated French architecture from 1840 to 1870 with the numerous medieval restorations that he undertook from Notre-Dame in Paris to the basilica in Saint-Denis. Viollet-le-Duc was also an historian and in particular a theorist on architecture. His historical knowledge was closely linked to that of a restorer since he carried out many surveys on site, work on existing buildings, drawings and ink-wash painting. In any case, newly appointed in Saint Denis, he was asked primarily to check whether the demolition of the north tower was essential before the reconstruction of the spire. He confirmed this and began to dismantle. In the historical Atlas of Saint-Denis, published under the direction of Michaël Wyss, we find excerpts from the “Journal des travaux de l’église royale de Saint-Denis”, begun in January, 14th, 1847 and kept by the architect Marc Mesnage. It was embellished with records by the illustrator Destor and sketches and notes by Eugène Cabillet, subinspector at the Royal Church of Saint-Denis whose office was situated under the arches of the north tower at the base of the spire. «103 steps up » he said and annotated by Eugène Viollet-le-Duc himself. This log is valuable because it reveals not only the different stages of the demolition of the north tower, but also the other ups-and-downs of the site.. Thus, we learn that many ancient vestiges, dating from the first building were found inside the masonry, such as chipped stones appearing to come from the former 12th century tower on which stood the wooden spire by Suger, or a flat carved stone representing « a fantastic quadruped which appears to be a remnant of an earlier building dating back perhaps to 11th to the 12th century, perhaps the 9th » or even a grave at the bottom of a drain-well. Eugene Cabillet used this log to clear himself of non-completed consolidation work on the tower damning François Debret at the dame time. In his report of August, 27, 1847, he made note of serious cracks that he had noticed from 1840 and on which he made sketches which he gave to Debret. According to him, Debret thought nothing of it at that time but was terrified about this later. After many accounts announcing his fears from 1840 on, Eugène Cabillet concluded: « This is why I now transcribe today, two days before my departure from Saint-Denis, (…) this last observation, led to thinking about the consequences of all restorations conducted without a direct and particular science », which would not have had such an impact on the construction « if a studied program had been traced ». Many workers were involved in the demolition, stonecutters, masons, carpenters, glaziers, laborers, sometimes up to forty seven people according to Cabillet, based on the work in progress at a given time. Visits by Viollet le Duc to the worksite were faithfully recorded in this log. April, 16th 1847, the architect ordered excavations at the foot of the tower to check the foundations. A few days later, on the 27th, masonry workers discovered in one of these excavations small copper coins that they conscientiously gave to the site foreman. To reward them for their honesty, Viollet le Duc gave them five ‘talents’ (The solidus aureus - the Constantin gold coin, it was the equivalent of 6 000 copper coins, representing one talent. Also, the gold coin was sometimes called by that name and we can presume that Viollet-le-Duc gave five gold coins to these workers). As demolitions proceeded, Viollet-le-Duc carried out his plans, cross sections, elevations to the different levellings. This is why, despite its disappearance, the North Tower is well-known by the architects of today. Thus, the discovery of a cross-bracing system and chaining in the upper part was particularly interesting. This reminds us that the cross-bracing system is the arrangement of the pieces of wood (or sometimes masonry) supporting the walls of an excavation or supporting a component in a building, like the tower here. As for the chaining system, link chains were then used to form rods horizontally to avoid the stonework of the structure to be disassociated. Viollet-le-Duc erased the traces of his predecessors restoration! After the demolition of the North Tower, the architect undertook the restoration of the interior of the building. He aimed to give back to the Basilica its imposing volumes and the standard and original decoration to the abbatial chapels. He began by removing all decoration that had accumulated since the first half of the nineteenth century in the crypt and in the ambulatory chapels. During the summer of 1847, Viollet-le-Duc knocked out the walls that François Debret had ordered built at the former access to the crypt. According to Marc Mesnage, « the layout of the interior of the crypt was quite spacious. » Thus, the wall closing the vaults where the bones of the kings were laid was also buried. Demolition works were carefully done to protect and preserve the sculptures of roman capital structures (at top of pilasters) designed on the walls. Demolition of vaults built in 1806 revealed a vault from the twelfth century and an arc built by Suger. Under the vault was a system of blind arcades (a series of arcades of small dimension) whose bases were still in place but whose capitals and columns had disappeared. Only traces of abacuses (stone slab located in the middle of the column, crowning and reinforcing the capital) could be seen. As for the arch dating from Suger period, it was supported by one column, it no longer exists but was indicated in the former plans and only the abacuses as well as the arc remain. As for decoration, the vestiges of medieval paintings particularly visible on the small columns of the choir and of the Caroline Chapel were found in 1794. Using polychrome was an idea by Debret who used this practice to paint the Basilica entirely thanks to the information he learned from the vestiges. He started restoration work in chapels and the ambulatory. Controversy was born then concerning the use of oil-painting rather than glue-size painting, namely the question about the use of mat or gloss? Viollet-le-Duc used this argument to strip all, erasing forever the oil paintings and decorations of Debret but also the only traces of authentic medieval polychrome in Saint-Denis. Restoration of the Chapels "chapelles de la Vierge and Saint-Cucuphas"
Restoration of these two chapels began on January, 7th 1848 and was not completed until October. As in the crypt, Viollet-le-Duc began to remove all traces of previous restorations including the paintings of François Debret and six black marble columns designed by Legrand (weight 1500 kg each) which were replaced by small stone columns identical to those of the transept (cross-aisle of a church) and designed by Viollet-le-Duc. On January, 17th , excavations of the Chapelle de la Vierge made it possible to find ancient mosaic and ceramic ornamental tiling that covered the ground. Excavation also revealed the location of the original altar. In the debris, fragments of sculptures from the twelfth or thirteenth century, that seemed to have been part of the altar of the Virgin chapel, as well as capital structures were found. Informed, Viollet-le-Duc ordered the complete removal of the modern paving and to take great care of the old tiles or any fragment of sculptures found during this excavation. The following day, the floor of the Virgin Chapel was completely uncovered, revealing a terra-mosaic covering the entire floor, except where the primitive altar once stood. A few days later, a delegation composed of public building architects and representatives from the general inspection of buildings, including Prosper Mérimée, came to witness this important discovery. Very interested, Mérimée ordered the same type of excavation in the two adjoining Chapels: Saint-Cucuphas and Sainte-Geneviève. The excavations proved positive and old tiles were discovered in the other two chapels, as well as the original location of the altars. A piece of the old tabernacle dating from the thirteenth century still with remnants of paint and gilding decoration was discovered in excavation of the chapel of Saint-Cucuphas. The pavings discovered were made both of ceramic tiles and carved stones engraved with mastic and mosaic. Based on these finds, Viollet-le-Duc proposed an archaeological restoration of the floor. The work was long and tedious, because financial resources were insufficient. In 1859. Eugène Viollet-le-Duc was ordered by Napoléon III to build a vault destined to house the tombs of the imperial family. In his plan, dating March, 1st 1859, the architect attempted to restore the choir into its initial state before restoration and the different transformations and the imperial vault was installed in the apse of the Carolingian Church. The following year, Viollet-le-Duc drew up a quote for the general restoration of the abbey. This restoration-work included the lowering of the floor of the edifice which had not yet been returned to its original level, the restitution of the former layout of the stairs and access to the crypt as well as to the raised choir. Tombs and recumbent statues found their place in the transept once again and the high-altar of the Saints-Martyrs was restored to its original place in the circular apse of the choir. Also, the architect planned to rebuild the western facade, as his drawing revealed in January, 1860. The overall quote was accepted, with the exception of the reconstruction of the western façade and of various additions because these works were too costly. In 1872, the new chapel was demolished and a stove was built in its place. Finally, October, 10th, 1875, the abbey-church was returned to cult worship after 70 years of refurbished and renovation work! 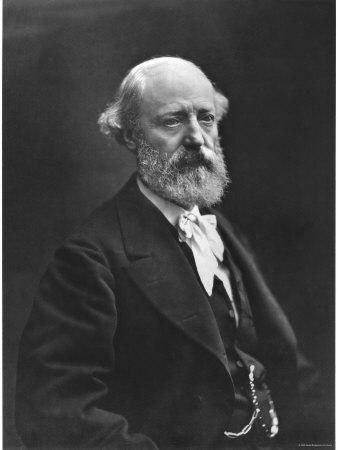 Viollet-le-Duc died on September, 17th, 1879.